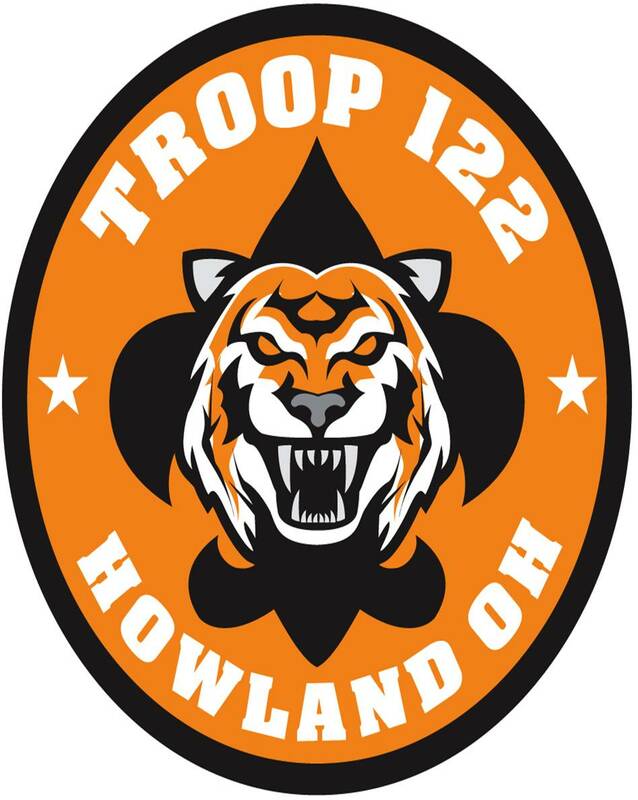 Welcome to the online home of Howland Troop 122! Howland Troop 122 was founded in 2013 at Howland United Methodist Church by seven (7) Webelos Scouts and three (3) adult leaders from Cub Scout Pack 122. At the time, Pack 122 had nearly 100 Cub Scouts from Howland and Vienna Townships! We believed it was time for the Pack to have a dedicated Troop to advance the values of Scouting. In 2016, after several years of success and growth, a Venturing Crew was added to our Scouting family. Our Pack, Troop and Crew are testaments to the importance in the values of Scouting for the youth of Howland and Vienna Townships! The second payment of $95 toward Summer Camp (PLUS $20 if attending either Mountain Man or Claytor Lake) is due to the troop at tonight's meeting. I am please to report that this year, EVERY registered Scout in the troop is attending Summer Camp at the Blue Ridge Mountains! Any Scout who need additional financial considerations should talk to Scoutmaster Bob ASAP. Although this is NOT a troop event, we can consider carpooling if there are enough Scouts registering to attend. Cleveland Metroparks are excited to offer a variety of Merit Badges to Scouts! These Merit Badges are not Troop outings and should be registered for individually by Scouts who are interested. Text @howland122 to 81010 to join the Troop 122 Remind app! Our original Troop Website is back! Thanksgiving Campout is a FAMILY Camoput!